Ziya Tong | TV, eh? Like Christmas arriving every year so does Daily Planet‘s celebrated and super-fun “High-Tech Toys” week. Airing next Monday to Friday at 7 p.m. ET/4 p.m. PT on Discovery, all five days spotlight the outrageous, mind-blowing and exciting gadgets and gear of the year. 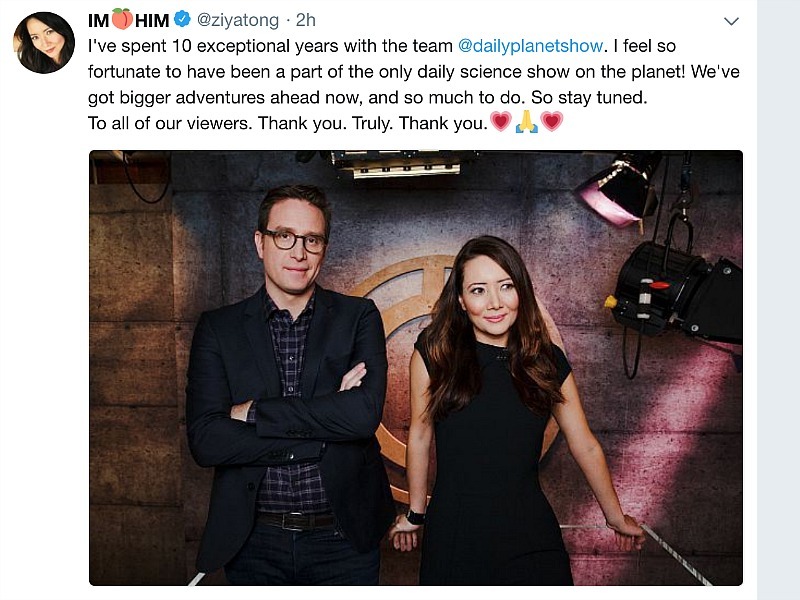 Sure, Mattel’s Justice League Batmobile, JABii extendable boxing gloves and Blueye underwater drone all sound awesome, but how do they rank with Daily Planet co-hosts Ziya Tong and Dan Riskin? And what are Ziya and Dan’s other favourite toys of 2017? With just 24 days left to shop, get moving on snagging these gems! We have all sorts of gearhead goodies on “High Tech Toys” this year, and one thing I can tell you for sure is I’ve never seen a toy with so many trademark titles in the name. ;) This RC car is also a serious upgrade from the ones I used to play with as a kid. It’s smoking, and I mean that literally. The car has an oil-based vape to mimic real smoke coming from the exhaust, as well as a camera that films and records Batman’s view from inside the driver’s seat. “Holy Remote Control Robot” indeed, Robin! One of the flat-out weirdest toys that we have on the show this year is called Qoobo, and the nicest way to put this, is to say that it looks like a decapitated cat – or a cushion with a tail – take your pick. Created by a Japanese robot company, the Qoobo will wag its tail depending on how you pet it. The slower you stroke it, the slower it moves, and if you stroke it quickly then its tail wags with a faster speed. I’m curious to see what happens if you pet the Qoobo near a real cat; if it will just ignore it, or attack it? We don’t just have robotic cats, we also have robotic dogs on Santa’s wish list this year. CHiP is certainly not off the ‘ole block. He’s a robot that comes with a smart band, meaning his personality will change based on the feedback that you give him. He also does some fun tricks. If you say “Hey Chip,” he will bark back, and if you say “Let’s play,” he will run off and fetch a ball. The best part about CHiP is you don’t have to walk him when it’s raining. OK, and also, he apparently does yoga. I bet your dog can’t do yoga. Is it just me, or do all the toys have super-weird names this year? Anyhow, JABii is one that certainly fits what it is. Developed by a Danish inventor it’s a super-fun boxing toy, that stretches out a boxing glove kind of like what you’d see in an Inspector Gadget cartoon. The best part is, if you do get punched in the head, JABii doesn’t hurt. The springs inside disperse a lot of the force of the punch, so you won’t accidentally knock your friend out while you’re playing. I’ve tried it and I’ve gotta tell you, it’s also quite the work out. I’m a sucker for anything named after a bat, but this seems kind of cool even beyond that. It’s a band that goes around the back of your head to work like headphones. The wonderful part is that they don’t go over your ears at all. They send sounds to your cochlea by vibrating your braincase – bone conduction. The idea is that you can therefore still hear what’s going on around you, even while listening to your music or phone call. So what if you look a little like Jordie LaForge with his visor on backwards? Musical instruments always become a favourite for us in the studio, and we’ve seen a few, but this one stands apart. It’s like an electronic stress ball with a neck on it like a guitar. It sounds a little like a Theremin, and it’s kind of cute, to boot. I wonder how Ziya will feel about me soloing on it for a few hours each day this week? This is absolutely something most cat owners would kill to own. Imagine a machine that does the kitty litter totally automatically so you never have to? It just lights up when you need to change the bag at the bottom. As a bonus, your cat gets to poop in an egg-like shell that totally looks like the one that Darth Vader sits in. May you never need a bulletproof tank of an SUV. May you only ever use this as a way to show off that you have money to burn ($150,000 US for the base model, double that for the 500 HP, V-8 version). But should you need such a vehicle, you can’t really beat the Rezvani Tank. Run-flat tires, bulletproof windshield, a Kevlar-wrapped gas tank for added protection … you can even drop tacks out the back and make a smoke screen. Your commute just got a lot more interesting. This is a truly beautiful piece of engineering. Let’s be honest, you don’t really need a clock. Your phone is in your pocket. You may even be wearing a smartwatch. But if you want to feel warm and fuzzy while you find out what time it is, this is what you want. This custom-built clock has a set of six tubes, each filled with glowing mercury-neon lights that can run through the 10 digits. As the day goes by, this beaut flickers through it with you. It’s accurate thanks to Internet connectivity, too. All the benefits of living in the future – with all the style of living in the past. Daily Planet‘s “High-Tech Toys” week airs Monday to Friday at 7 p.m. ET/4 p.m. PT on Discovery. Shark Week certainly knows how to make a splash with big-name hosts and special events. The American Chopper cast (remember them?! ), Les Stroud, Craig Ferguson and Andy Samberg have all taken a turn hosting; this year it’s actor-producer-director Eli Roth. The tentpole event for 2017 takes place on Sunday when former Olympic medal-winning swimmer Michael Phelps gets into the water for Phelps vs. Shark: Great Gold vs. Great White. Me? I’m more interested in what the folks at Daily Planet are doing. Daily Planet‘s Shark Week coverage airs Monday, July 24, to Friday, July 28, at 7 p.m. 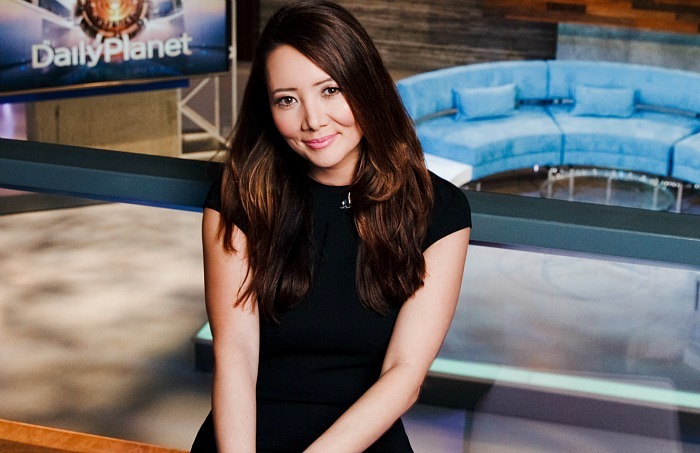 ET on Discovery and features hosts Ziya Tong and Dan Riskin at Ripley’s Aquarium of Canada in Toronto presenting truly compelling segments during special episodes of their nightly science series. One preview segment next week finds Tong in the water with the toothy critters. “This really drives home that we practice what we preach,” Riskin says of Tong jumping in the water with sharks. “We want to show that, for the most part, sharks are not vicious killers. We put the more valuable co-host in the water to prove that she wasn’t going to get hurt.” Debuting in 1988, Shark Week has become a must-see event thanks to show titles like Shark: Maneater or Myth?, Teeth of Death and Anatomy of a Shark Bite. This year boasts programs like Great White Shark Serial Killer Lives, Great Hammerhead Invasion and Shark Vortex. Those outrageous titles may attract eyeballs, but the truth about sharks is much more mundane. “The truth is, we have lots of stories this week about people who are in the water with great white sharks without a cage and they’re fine,” Riskin says. “They know what they’re doing and they would never throw the kid from the Nirvana album into the water with a shark.” He adds these experts know how the predatory fish posture and communicate what their intentions are. The result? The charisma and fascination surrounding them is still there, but the fear drops. 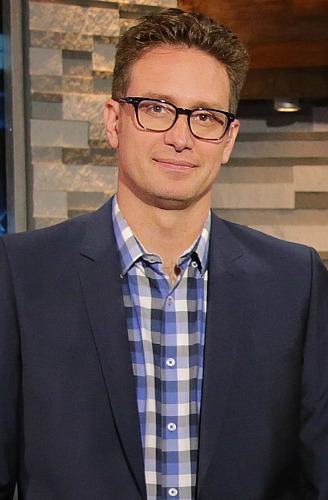 Segments that Tong and Riskin introduce on Daily Planet include “Touching Great Whites,” as Jean-Marie Ghislain and Martin Kochling leave their dive cages behind to swim with sharks off the coast of Guadalupe Island; “Liverless Sharks,” regarding the mystery surrounding sharks washing up on South African shores with their livers expertly removed; and “Dead Whale Feast,” which—from its description—could be the gross-out of the whole lineup. “Marine biologist Choy Aming is on a whale carcass bobbing in the middle of the ocean and all of these different species of sharks start coming up and feeding on the carcass while he’s sitting on it,” Tong teases. 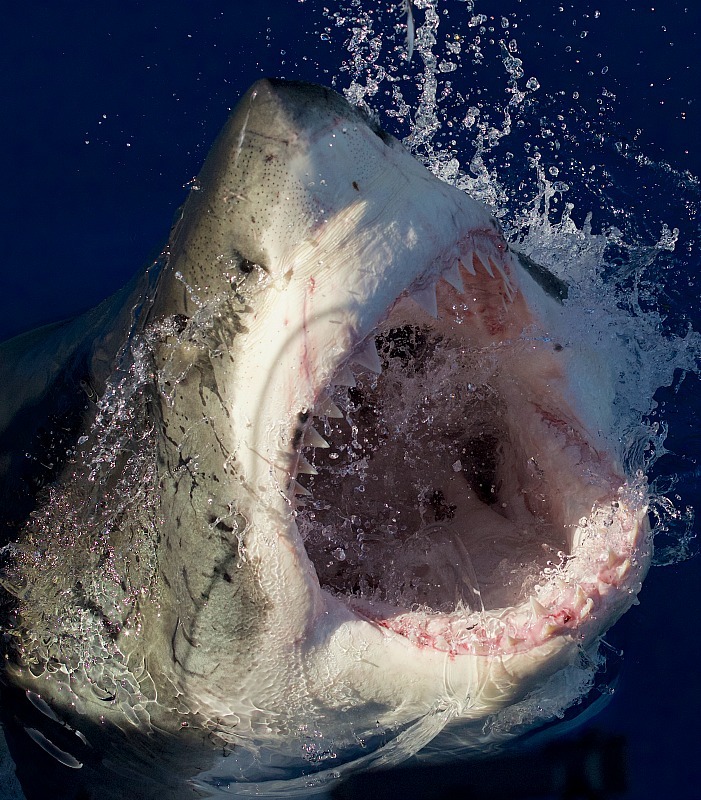 Daily Planet‘s Shark Week coverage airs Monday, July 24, to Friday, July 28, at 7 p.m. ET on Discovery. Like Christmas arriving every year, so too does Daily Planet‘s “High-Tech Toys” week. Airing next Monday to Friday at 7 p.m. ET/4 p.m. PT on Discovery Canada, the five days spotlight the outrageous, mind-blowing and exciting gadgets and gear of the year. Yes, the Transformer Car, Teal High-Speed Drone, Climball and PancakeBot all look cool—and will be featured next week—but how do they rank with Daily Planet co-hosts Ziya Tong and Dan Riskin? And what are their other favourite toys of 2016? Note: there are only 24 days left to shop for them, so get moving! Boombox Painting: There’s nothing better than being able to combine art, music and technology, and all three come together perfectly in the Boombox Painting. So what is it? Well, at first glance it looks like a painting of an old school boombox—framed and everything—but the surprise is that the speakers are real! The company, Case of Bass, designed a shadowbox that contains all the gear so that the painting becomes a functioning speaker system that plays music via Bluetooth. Probably the best way to describe the aesthetic is that it’s super retro-futuristic. Climball: I love the Climball because I often have to get tricked into doing exercise, and this is one very clever way to do it. Basically, it turns you and your game partner into a human version of the game Pong. The climbing wall tracks your movements and projects a virtual ball right on to the wall so that you compete against another player. It blends gaming and sport and certainly takes climbing indoors to a whole other level. RC Surfer: I’m sure you’ve seen plenty of RC cars and RC planes, but one thing you may not have seen is an RC surfer. At just over 30 centimetres tall, the board and rider are perfect for the tiny waves that lap along the beach shore. Riding along the beach breaks however, the tiny surfer looks like it’s cruising through massive barrels. With a hollow design, the board automatically rights itself, allowing you to rock it like you’re in Point Break, without any of the wipeouts. Flybrix Lego Drone: Like most kids, I grew up with Lego, and year after year I’m amazed by what these little blocks are able to create. And in keeping with the times, Lego has come up with a “make your own drone kit.” Connected via the Flybrix Bluetooth Flight Control App, now you can customize your own mini-drone and watch your ideas literally come to life, and take flight. LeTrons Antimon: Leaping right out of the pages of comic books, the LeTrons Antimon is a real-life Transformer car. On the outside, it looks like a BMW 3-series, but the car can stand upright like an Optimus Prime! In its standing position, the “car” is able to move its robotic arms, fingers and even turn its neck and head. The future is really here friends, and on “High Tech Toys” week, we promise you’ll get more than meets the eye. The Teal High-Speed Drone: It’s a quadcopter drone like you’ve seen all over the place by now, but this one is, (A) fast—like 120 kph fast—and, (B) open to developers who want to put their own spin on it. The folks at Teal envision an app store where developers share different ideas about how to make this drone hardware interact with games, utilities, and more. This high-tech toy isn’t out yet, but we’re watching this team make it happen. Chariot Skates: These are like rollerblades, but bigger. Each skate has a giant wheel in front (as high as your knee) that rolls on the outside of your foot while you move. That allows your skates to handle rough terrain in a way no other skate possibly could. It also means more dynamic stability from rotational momentum, and thus a very different feel. I’m looking forward to trying these on this year. Bets are in on whether the fracture will be tibial or femoral. PancakeBot: Pancakes are perfect, but now they can be “perfecter.” This Norwegian invention takes pancake batter as ink, extrudes it through an arm, and onto a hot grill. The result is pancakes shaped like the Eiffel Tower or really anything you want. In fact, you can even use your kids’ drawings as templates! You could even make a picture of a mandrake with a headache performing a jailbreak to get to a clambake on your pancake! Which of the toys Dan and Ziya have chosen would you like to see under your tree on Christmas Day? Comment below! Daily Planet‘s “High Tech Toys” Week airs Monday, Dec. 5, through Friday, Dec. 9, at 7 p.m. ET/4 p.m. PT on Discovery Canada. 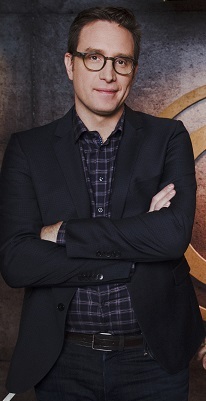 It’s one of the most anticipated weeks of the year for Daily Planet fans and it returns next week. “High-Tech Toys” week, airing next Monday to Friday, spotlights the outrageous, mind-blowing and exciting gadgets and gear of the year. 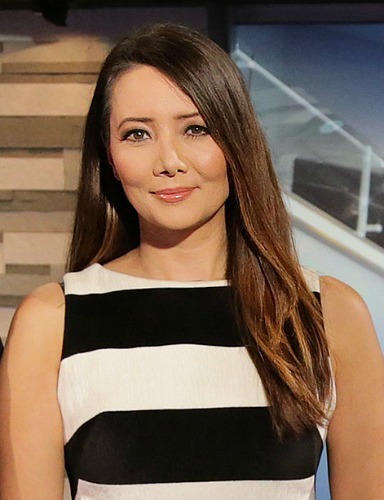 And while items like the Gotham Golf Cart, Flying R2-D2 and Mannen Caravan certainly look cool—and are shown next week—we decided to get Daily Planet‘s co-hosts, Ziya Tong and Dan Riskin, to give us their Top 5 picks for High-Tech toys they’d love to see under their Christmas trees. Aira – For me, this sounds like a dream: a sweatshirt that gives you a soothing massage. Developed by a team out of Singapore, the idea behind Aira clothes is to have a massage therapist on-the-go with you. It comes with a smartphone app that controls small air-pressure units sewn into the back. So if you’re travelling and sitting for a long time, or just getting achy sitting at your office desk, this is the perfect one-click pick me up. Zombie222 – Ask anyone at work and they’ll tell you that I’ve always wanted a ’68 Camaro, but being an environmentalist, this has not been an option—until now! We’re featuring a team that takes classic muscle cars and turns them into lean, green, electric machines. The Zombie222 is actually a ’68 Mustang, and this thing is fast. It goes 0-60 in 1.79 seconds! Volvorii smart shoe – Move over Imelda Marcos, these new digital shoes will save you money and closet space, because they are multiple shoes in one. Designed with electronic ink technology, the shoes change colour and patterns to match your outfits. It’s kind of like wearing a chameleon on your feet. iShuu Technologies, the company behind the heels actually won the Louis Vuitton Prize for the design. Triton subs – This is one high-tech toy that is seriously out of this world, and at a few million bucks a pop, well beyond most people’s price ranges. But if you’ve ever dreamed of being Jacques Cousteau and exploring the underwater world, this is the best way to do it. Triton subs fit three people inside and you’re surrounded by a glass bubble so it’s a 360 view. The deepest ones go down 36,000 ft! You can descend into an alien universe in just a couple of hours. The toy industry is a major driver of technology. I mean, just consider the link between video games and computer processor speeds. So High-Tech Toys is a great way to not only see what the fun gadgets are this year, but to glimpse where tech is headed in general. Here’s my list of five toys it’s hard not to be excited about. Thor Hammer – This is actually a one-of-a-kind piece built by Allen Pan in California. You know in the movies how only Thor can lift his hammer, Mjolnir? Well, Allen has made that happen by putting huge batteries, an electromagnet and a fingerprint reader into a Mjolnir just for him. So long as its placed on metal, it won’t release until his fingerprint is scanned. That means any other hero can lift with all their might, and never pick it up, while Allen can swing it around like Thor himself. My very own Death Star – There’s a 3.2m Death Star sitting in Lafayette California that I should also have. It lights up and everything. It was built by a nerdy dad by hand out of electrical conduit pipe. It took a 70-foot crane to put it up. He did it for Halloween originally, but now that it’s up, why not leave it for Xmas, right? Anyway. I need that at my house. Then my neighbours can put up an Alderaan and we can see what happens. Rumour has it we’ll have a couple of Inmotion V3 Electric Unicycles in the studio. I haven’t gotten on one yet, and there’s good reason to think I’ll break a leg trying to ride one, but there’s something about dangerous things that draws me in. Besides, if I master this thing, I’ll be able to ride it around the office. Just imagine the improved productivity. I can channel my inner “guy from the BC Comics,” and zip around all High Tech Toys Week. (That, or I’ll be on crutches). There’s also Avalanche Project, a snow-mountain-bike with two side-by-side skis in the front and a tread on the back wheel, like a tank. It’s actually a prototype built by some students at L’Université de Sherbrooke. The genius behind this is that the front skis vary from parallel to snow-plow as a braking mechanism. And I guess my fifth would be the R2-D2 drone, which flies just like R2 did in the prequel trilogy. This was built by the same guy who last year built a flying witch-on-a-broomstick (with my co-host Ziya’s face on it, of all things). Our video about that went viral on Facebook with tens of millions of views. I have a feeling flying R2 might hit a similar chord this year. Daily Planet‘s “High-Tech Toys” Week airs next Monday-Friday at 7 p.m. ET on Discovery Canada.